My mom came to visit us last week, so I did not have time to post new enteries in a while. However, I did have time to cook us some diners and take some pictures. I will be posting them soon (I do have to try to remember what I put in each recipe, so it is more than possible that I will miss something). This dish is another Asian noodles dish similar to the pad thai I made last week. 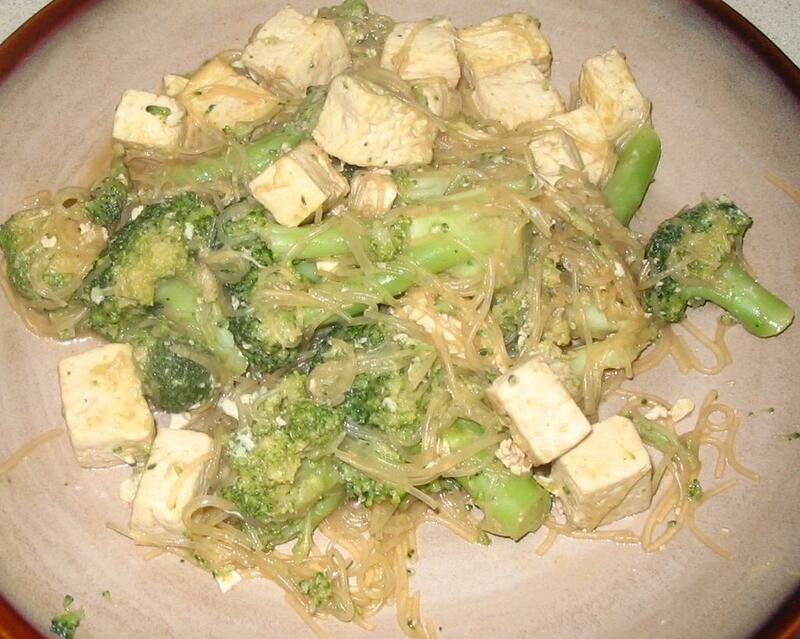 This dish is all veggie and uses different noodles. Soak noodles for 45 minutes or so and set aside. Heat enough oil in a wok to cover the tofu. Once the oil is hot enough that a drop of water will sizzle add the tofu. Fry till tofu starts to brown (about 10 minutes) and set aside on paper towel. Pour oil into a can to set aside or dispose. 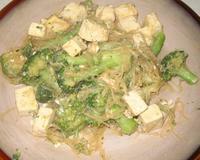 Add broccoli and stir fry to your taste (perhaps 5 minutes or so) and set aside. Next add the sesame oil, shallot, chili sauce, sugar and garlic and chili pepper. Blend well cooking for a couple more minutes. Scramble in egg and than add the noddles. Mix well. Last mix in the broccoli and tofu.